The kilogram by definition is measured as a constant starting May 2019. 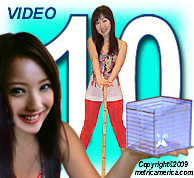 CLICK HERE for KILOGRAM EXPLAINED. Remember, kilo is the prefix for 1000 times as much. is about 1 kg (1 kilogram). 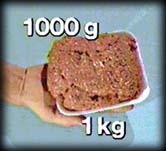 and it is the mass of exactly 1 kg (1 kilogram) (1000 g). more accurate basis for defining the kilogram worldwide. 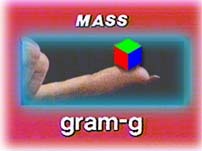 The kilogram however is redefined as "JUST A BUNDLE OF ENERGY"
While the ampere, kelvin and mole will be tied to the elementary electrical charge, the Boltzmann constant and the Avogadro constant, respectively, the kilogram will now be defined by the Planck Constant. A physical constant that is the quantum of action, which relates the energy carried by a photon to its frequency. A photon's energy is equal to the Planck constant times its frequency. Which is to say, Planck's constant, symbolized h, relates the energy in one quantum (photon) of electromagnetic radiation to the frequency of that radiation. In the International System of units (SI), the constant is equal to approximately 6.626176 x 10-34 joule-seconds. The equation reveals that mass can be understood and even quantified in terms of energy. which can be imagined as individual packets or bundles of energy. which in turn will produce a new, more accurate basis for defining the kilogram worldwide. as the distance light travels in a vacuum over 1/299,792,458 of a second. 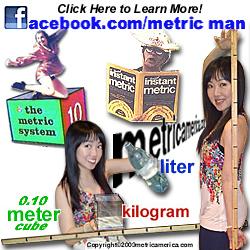 Which means that the length of a meter, like the kilogram now will never change.